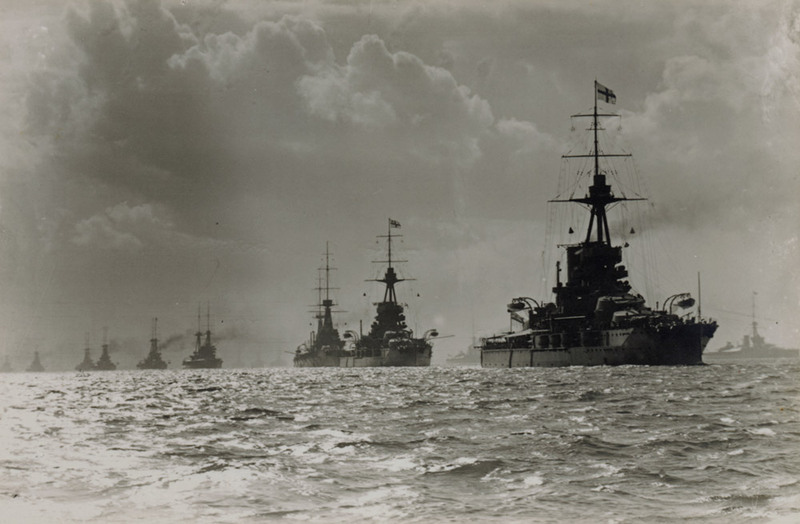 In 1914 the Royal Navy was by far the most powerful in the world and was kept busy policing colonies and trade routes, defending coastlines and imposing blockades. Command of the seas helped ensure that the Allies could move vital resources and manpower to the Western Front and elsewhere and that food supplies could reach the people at home. German propaganda poster appealing for support for the U-boats. 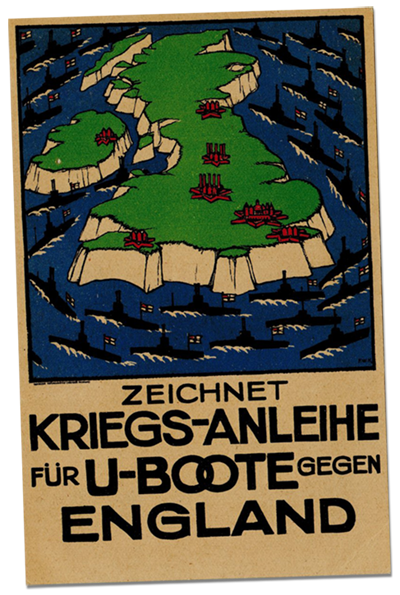 Supremacy at sea and Britain’s geographical position allowed the establishment of a blockade of German trade as soon as war began. 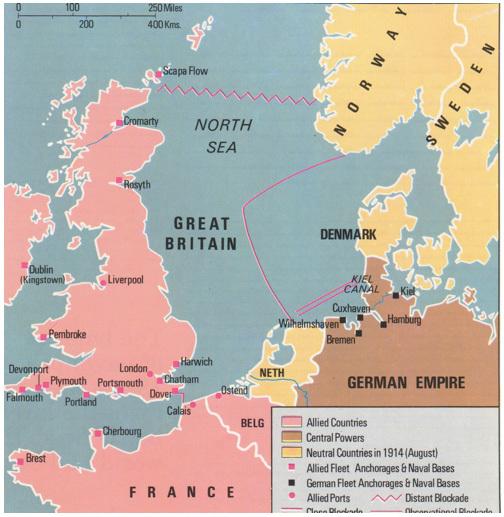 Patrols by the British Grand Fleet in the North Sea, minefields and cutting off access to the Channel increasingly undermined Germany’s ability to fight the war. From early in the War the threat of German U-Boats to the British surface fleet resulted in a defensive strategy which avoided direct confrontation in favour of protecting trade routes, maintaining the blockade and developing anti-submarine devices. Early battles saw the British fleet defeated at Coronel (November 1914), followed by success at the Falklands (December 1914). 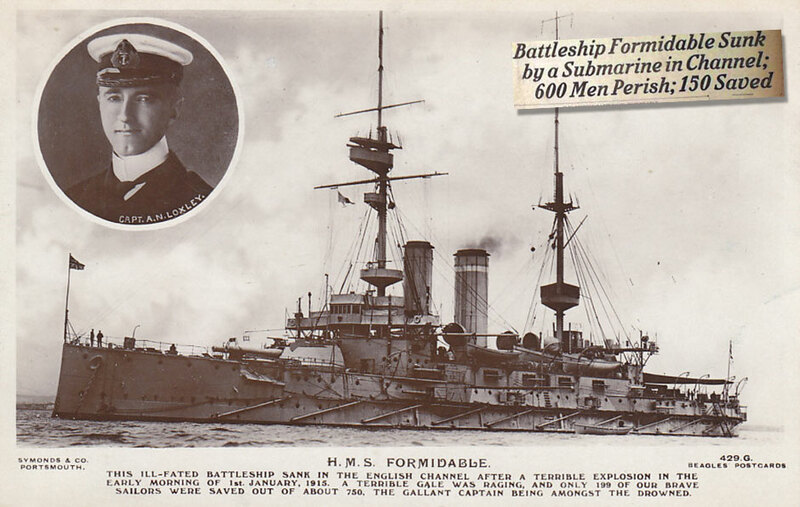 British ships played a major role in the failed Dardanelles campaign in 1915 both in bombing Turkish forts and transporting troops during the landings and later withdrawal. Minor North Sea battles at Heligoland and Dogger Bank preceded the first major battle at Jutland on 31 May 1916. Despite higher losses, the British retained command of the sea. Men from Bradford were lost at Coronel, the Falklands and Jutland. After Jutland the German Navy avoided engaging the Grand Fleet and concentrated on submarine warfare. The unrestricted warfare adopted in February 1917 led to huge losses of British shipping together with marine and civilian deaths. 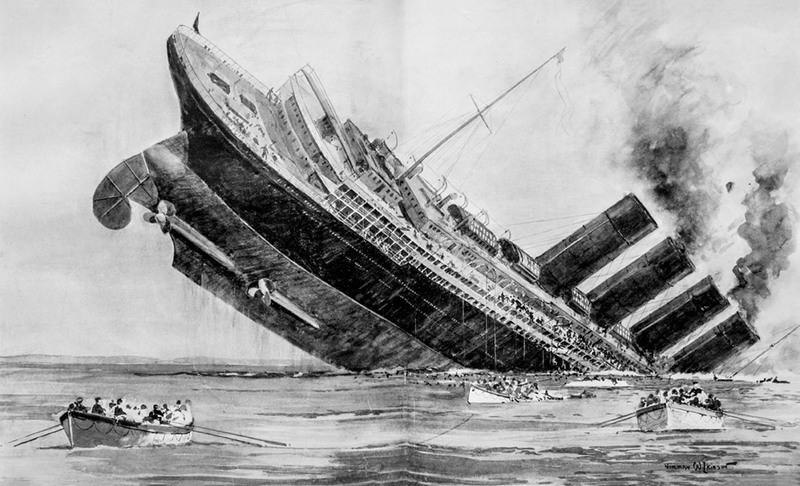 The Germans came close to success but their sinking of the Lusitania, continued threat to civilian lives and loss of four US merchant ships in March 1917 led to the USA declaring war on Germany in April 1917. The introduction of convoys escorted by warships and aircraft caused a dramatic drop in shipping losses and the secure delivery of war materials and food. The war at sea lacked glamour and excitement but was a test of nerves and ingenuity. New technologies and weaponry previously untested in warfare had to be mastered. Rather than large scale surface encounters the emphasis was on defensive strategies and tactics involving the use of submarines and aircraft. By controlling the North Sea, blockading Germany and maintaining supplies, especially through the convoy system, the Royal Navy ensured final victory. Formidable had been on gunnery practice in the Channel but at 2.20am was hit by a torpedo from German submarine U-24. Within 20 minutes Captain Noel Loxley gave the order to abandon ship. Darkness and worsening weather made it difficult to get the men and boats over the side; some small boats were thrown into the water upside down. 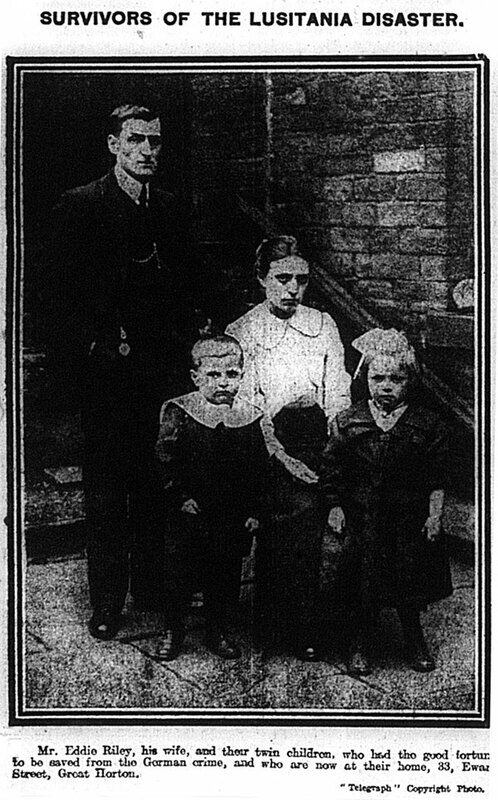 The crew included James Baxter and Frank Smithies from Bradford. Both men were lost. Location of Royal Navy ‘observational blockade’ plan 1912. Source: The Marshall Cavendish Illustrated Encyclopedia of World War 1 (New York: Marshall Cavendish Corporation, 1984): 177. Lord Kitchener drowned when HMS Hampshire was torpedoed on 5 June 1916. With ‘K of K’ on the Hampshire were Andrew Cross of Conduit Street, Manningham, William Henry Thwaites of Otley Road and Michael Doherty, husband of Kathleen who worked at Blenheim Nursing Home. 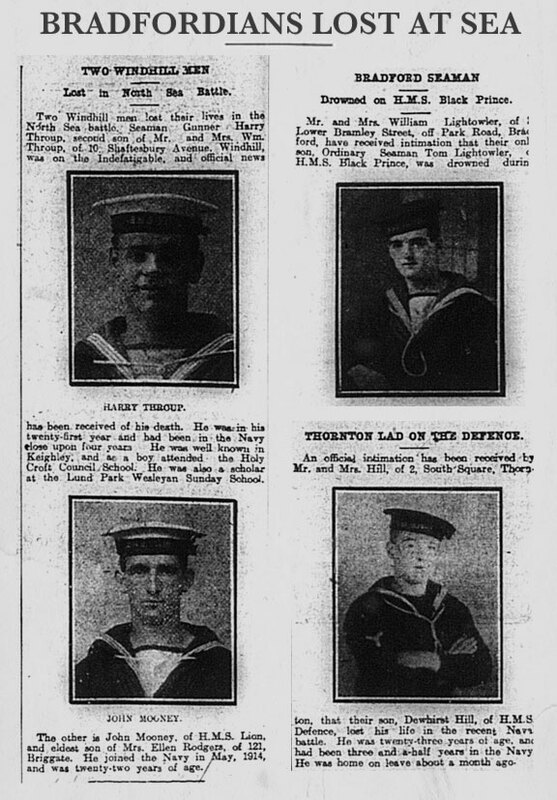 These Bradford men are now remembered on the Portsmouth Naval Memorial. Bradford and the Global Conflict – East Africa What Happened to the Pals?